Invisalign is an innovative orthodontic treatment that can straighten teeth without many of the drawbacks that can be associated with traditional metal braces. Many people with mild or moderate bite abnormalities or misalignments are candidates for Invisalign. If you have crooked teeth, gapped teeth, closely spaced teeth, an overbite, a crossbite or an underbite, our Los Angeles Invisalign provider may be able to help. Traditional metal braces use a series of brackets and bands along with a wire. The wire is regularly adjusted to bring teeth into the correct position. This process is extremely effective, but the metal parts of the braces are also frequently uncomfortable. They can be quite difficult to clean around, too, which means that patients must develop extensive cleaning procedures with special tools that allow them to remove all traces of plaque and debris from around their braces. Invisalign is different. 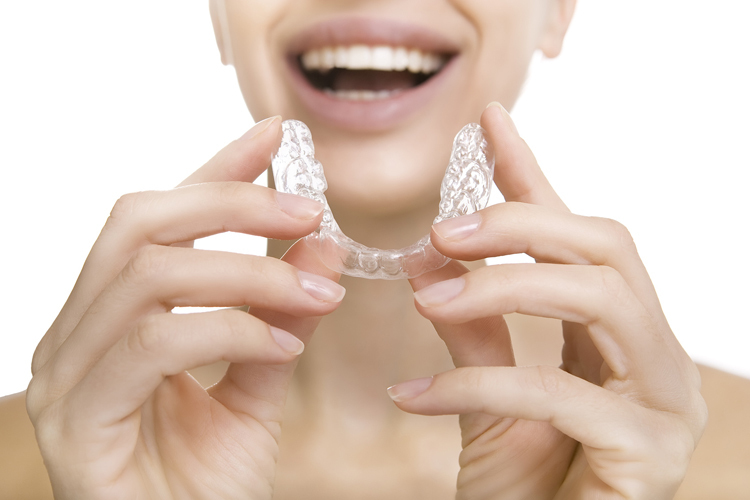 Invisalign uses clear mouth trays that are customized to the contours of your smile. A series of aligners is made based on a computer model of your smile. These aligners will make precise movements each time they are changed. Our Los Angeles Invisalign dentist can use Invisalign to treat virtually any orthodontic concern. Our patients appreciate the discreet nature of the appliances. Unlike metal braces, which can be quite noticeable, Invisalign is clear and virtually disappears when worn. They are also removable. Not only will you have greater control over your treatment, but you will also be able to keep your teeth and gums clean and healthy without difficulty. Simply remove your Invisalign aligners to eat, drink, brush and floss, and then replace them on the recommended schedule, which is usually about every two weeks. You can enjoy fewer appointments with our expert in Invisalign in Los Angeles, which helps save you time, and you can still get the great smile you want. If you are ready to learn more, give us a call. We can schedule a consultation with our expert in Invisalign in Los Angeles, who will evaluate your smile and help you explore your options. Contact us today. Invisalign is also great for athletes who play particularly active sports. Braces usually prevent patients from being able to participate in such activities, and even if they wear a mouth guard, serious damage to the mouth can still occur. Playing wind instruments is equally difficult with braces, which can be very tragic to deal with if that is your passion. And adults looking to switch careers can feel embarrassed with a mouth full of metal as they go on interviews. Invisalign eliminates all these issues. Treatment with Invisalign simply offers more flexibility to live the life that you want to lead.